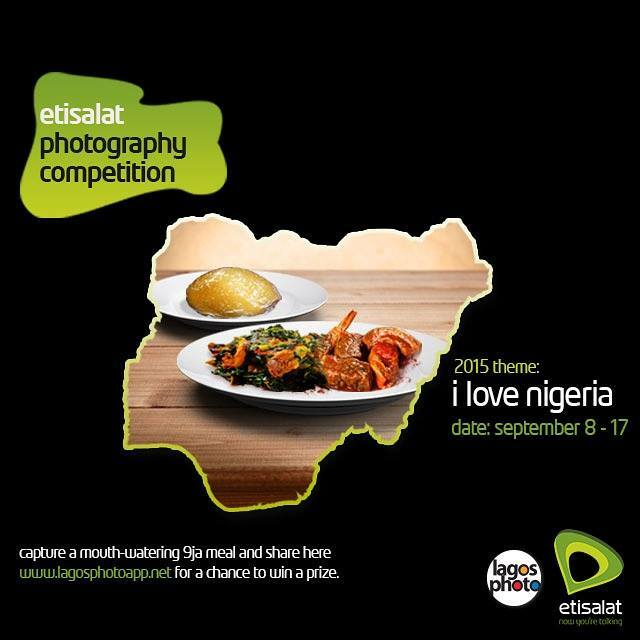 @Etisalat_9ja #‎lagosphoto‬ Competition. Lots of phone to be won. #‎GoodMorning9ja‬! Here's a chance to show the world our food varieties. Capture a mouth-watering 9ja! delicacy and submit for a chance to win a high-end Lumia device in the ‪#‎Food‬ and last category of the the‪#‎ILoveNigeria‬ @lagosphotofestival ‪#‎EtisalatPhotographyCompetition‬. Open September 8th – 17th, 2015. Please visit >> www.lagosphotoapp.net for submissions.